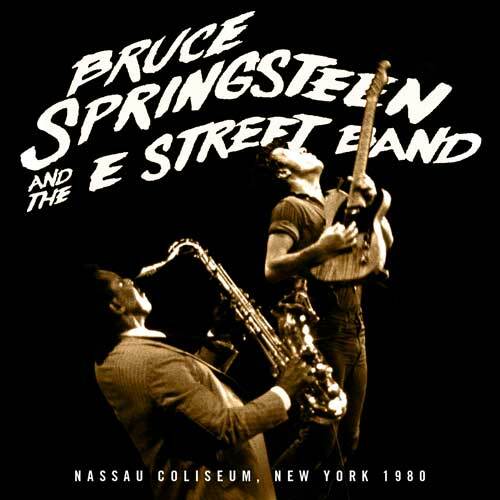 The latest archive live recording released by http://live.brucespringsteen.net is the concert performed at Nassau Veterans Memorial Coliseum in Uniondale, New York on December 31, 1980. At last we have an authorised live album from the tour promoting The River and after remastering in March 2015 by Adam Ayan, it sounds terrific. After the Agora, Clevland concert from 1978 was released, this was next on my wanted list of live albums by Bruce Springsteen and the E Street Band. I’ve always seen The River in the second tier of Springsteen albums. It’s very good but it doesn’t match the greatness of Darkness On The Edge Of Town, Born To Run or The Wild, the Innocent & the E Street Shuffle. To be fair, in the history of rock music, few albums reach that pinnacle. What a collection of songs! It’s also a marathon. Twelve songs from the 1980 release, The River, six from 1978’s Darkness On The Edge Of Town, three out-takes from the Darkness recording sessions that would later appear on The Promise, four songs from Born To Run, some of the classics from the first two albums, two Christmas songs and a terrific collection of covers. Did Springsteen and the E Street band ever play a bad concert? They are terrific on this night and sound really confident and tight. The sound quality is also excellent. The mark of any great live album is to leave you thinking ” I wish I was there.” It was a fantastic New Year’s Eve party and I wish I’d been there. We’ve had some live songs from this tour appear on Live 1975-1985 and if you think you’re overlapping, you’re correct in think that some came from the Nassau Coliseum but they are from the December 28th and 29th shows. Highly recommended to anyone who likes Bruce Springsteen. This is not a recording that’s just suitable to fanatics. He’s added another album that’s going to appear near the top of my favourites although it’s not quite up to the 1975 or 1978 standards. If you want even more from 1980, Springsteen has released a ten song live recording from November 5 at Arizona State University which is available for free download as an mp3 at the moment. Some songs are repeated but Factory, The Ties That Bind, Stolen Car, Point Blank and Backstreets are not on the Uniondale album. CD versions are due for shipment on April 25, 2015. I don’t think that there are any intentions to sell these self released live albums on Amazon.com or Amazon.co.uk but I could be wrong. Is it the best live album by Bruce Springsteen? Which do you recommend? This entry was posted in 1980s Live Albums, Classic Rock Live Albums, Singer Songwriter Live Albums and tagged 1980 live albums, 1980s classic rock, 1980s Songwriters, Bruce Springsteen Live Albums, classic rock 1980, Live Rock Albums With Saxophone, SS S by Paul Simister. Bookmark the permalink.